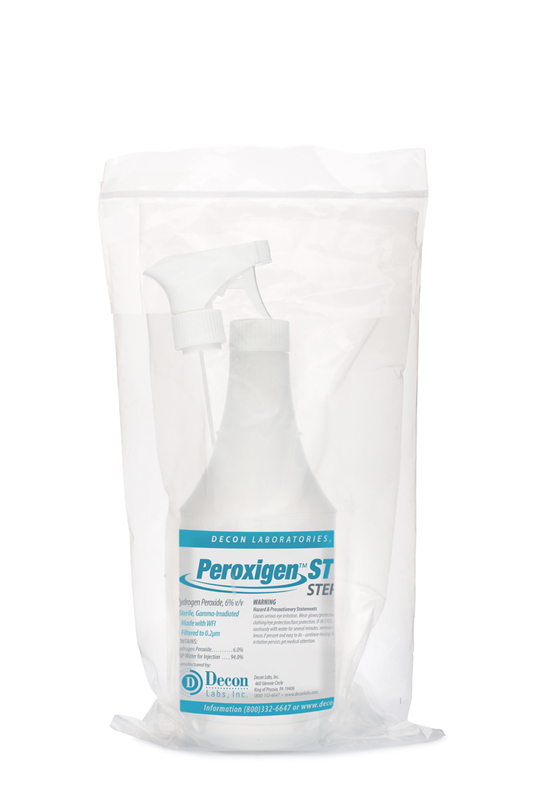 Peroxigen ST is a sterile, double-bagged, ready-to-use 6% Hydrogen Peroxide solution in a convenient trigger spray bottle. Made with Water-For-Injection (WFI), Peroxigen ST is gamma-irradiated, tested for sterility, and comes with Lot Specific Documentation. Safe to use, does not leave residues and it breaks down into water and oxygen. Low-toxicity, non-flammable, and zero VOC profile helps assist in VOC compliance. Used for cleaning hard, non-porous surfaces in labs and production areas.